Koh Doc Mai is home to many crustaceans. 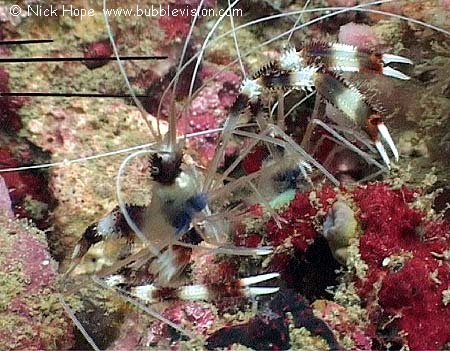 The banded boxer shrimp (Stenopus hispidus) is common all over the Andaman Sea and is usually found in pairs. The marine life of Koh Doc Mai features in my DVD.